Some secrets are better left at the bottom of the ocean. Sixteen-year-old Bridey Corkill longs to leave her small island and see the world; the farther from the sea, the better. When Bridey was young, she witnessed something lure her granddad off a cliff and into a watery grave with a smile on his face. Now, in 1913, those haunting memories are dredged to the surface when a young woman is found drowned on the beach. Bridey suspects that whatever compelled her Granddad to leap has made its return to the Isle of Man. Soon, people in Bridey’s idyllic village begin vanishing, and she finds an injured boy on the shorean outsider who can’t remember who he is or where he’s from. Bridey’s family takes him in so he can rest and heal. In exchange for saving his life, he teaches Bridey how to master her fear of the waterstealing her heart in the process. 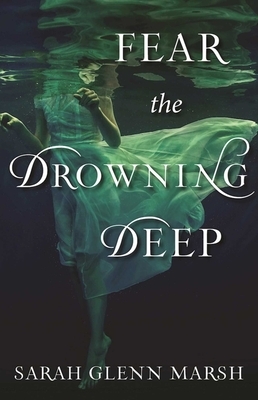 But something sinister is lurking in the deep, and Bridey must gather her courage to figure out whoor whatis plaguing her village, and find a way to stop it before she loses everyone she loves. Sky Pony Press, with our Good Books, Racehorse and Arcade imprints, is proud to publish a broad range of books for young readerspicture books for small children, chapter books, books for middle grade readers, and novels for young adults. Our list includes bestsellers for children who love to play Minecraft; stories told with LEGO bricks; books that teach lessons about tolerance, patience, and the environment, and much more. While not every title we publish becomes a New York Times bestseller or a national bestseller, we are committed to books on subjects that are sometimes overlooked and to authors whose work might not otherwise find a home. Sarah Glenn Marsh writes young adult novels and children’s picture books. An avid fantasy reader from the day her dad handed her a copy of The Hobbit and promised it would change her life, she’s been making up words and worlds ever since. When she’s not writing, she’s most often engaged in pursuits of the nerd variety, from video games to tabletop adventures and dungeon crawls. She lives in Richmond, Virginia, with her husband and four rescued greyhounds.